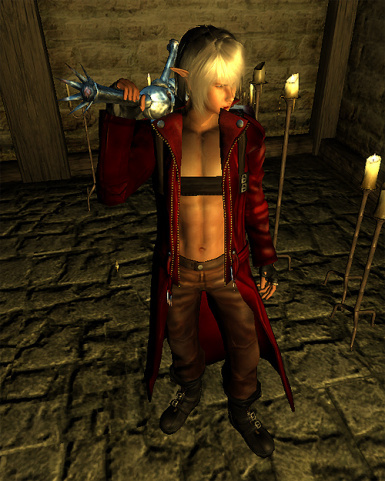 Adds Dante\'s clothes from Devil May Cry 3 to Oblivion. 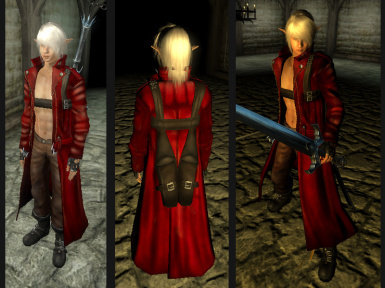 I know someone already made Dante's clothes, but I don't think the modder will ever finish it. So whatever, I made my own. Find the clothes in a chest in Bruma's chapel. You need Robert's Male Body v3/v4.